Find out what gifted jazz player John Coltrane had to say on his life and music by taking a look at our list of the best John Coltrane quotes. The are no shortage of John Coltrane quotes that give an insight into the remarkable artistry of arguably the most gifted jazz player of his generation. Born on 23 September 1926, Trane’s reputation has justly spread far and wide, and his music is deserving of the largest possible audience. 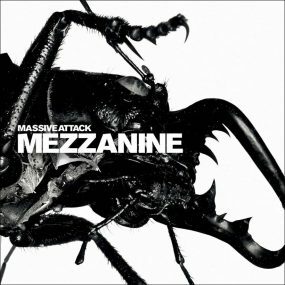 Whether on his beautifully controlled ballads or his more avant-garde material, he offers listeners the kind of inspired playing and composing that has few equals. Both intelligent and articulate, with depth and spirituality, his music is emotionally charged and satisfying on every level. Both Directions At Once: The Lost Album, is out now and can be ordered here. 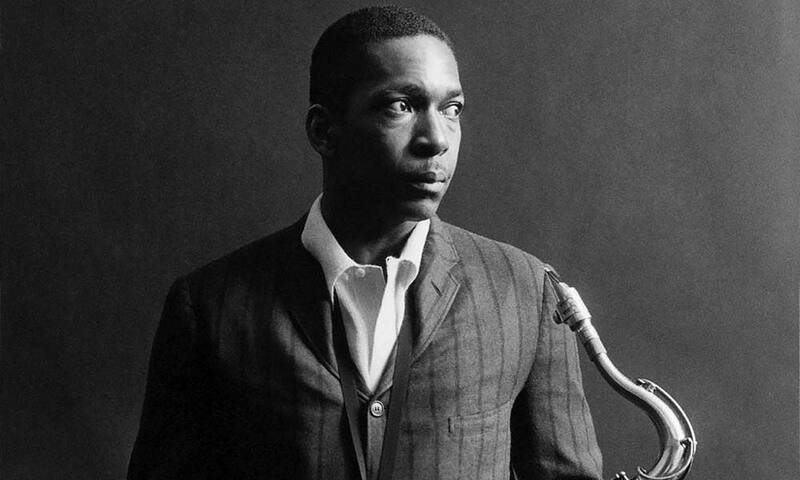 The one and only St. John Coltrane; thank you for the music that connects my soul to everything else. John touched my life and playing in a profound way. Happy Birthday to the greatest tenor player that ever lived! I’m a very, very fortunate person who Trane live many, many times in SF as a teen. Talked to him, have his autograph, carried his tenor. Life changing experiences for me. Happy 90th BD St. John. John Coltrane is a special because he tauch our hart and soul. the beauty of music minus the material world. 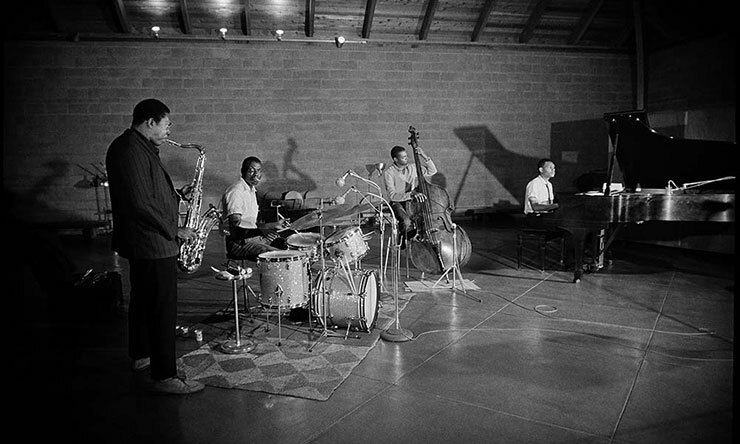 LeGrand Jazz and Chamber’s Music were my first Coltrane experiences at the age of 8 or 9. Atill love these records. Then came Cannonball and Coltrane, Miles’ Relaxin’ and Transition, then much more. I always wanted to get some Trane in my trombone playing, hope I succeeded a little. Fantastic player and very inspirational but his quotes are a little too vague and too general for me (damn the rules in music…it’s about feeling….how many times can you hear that? Music always has rules and is also about ideas and intellectual processes, also and certainly Coltrane’s great sounds ) although I absolutely think this wonderful man and dito player meant everything sincerely what he said. In July of 1967, I had gone to see him perform a clinic at UIC (I think) and found out at the door that the show had been cancelled. Later we learned he had died. Not only do I regret not seeing and hearing him, but regret that he left us so early – imagine all the great music he would have created. 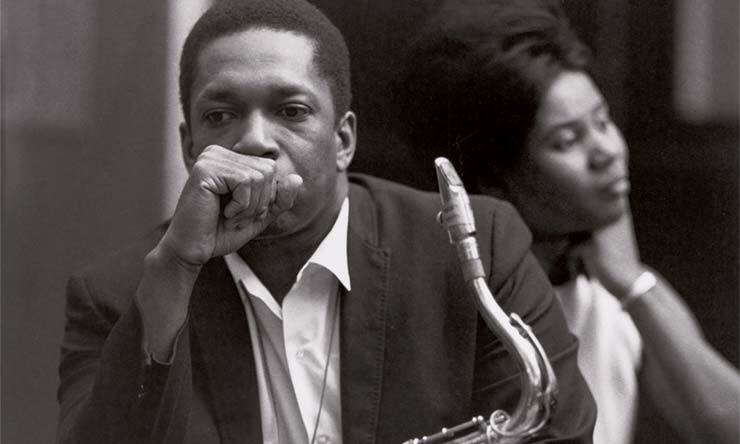 Trane was the man and he had the perfect artist accompanying him. I was Fortunate to see them in concert in early 60’s, just blew me away,put me in another zone. Just mesmerizing to sit close to the stage in concert and watch him. If you really know and enjoy Jazz, you know that Cat cld play people.I mean play! His music is and always will be a best.